For more information contact Deanna Auert or Nino Miranda​ at (800) 456-5974. 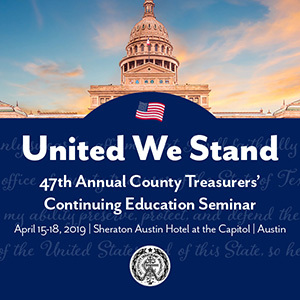 The Spring Education Session of the Texas Judicial Academy will give county judges an excellent opportunity to learn and fellowship with judges from across the state and discuss a wide range of topics that impact judicial duties. Thank you for your interest in the Spring Judicial Education Session. Online registration has closed, but you may still register onsite. For more information contact Allyssa Lee​ or Adrienne Bethke at (800) 456-5974.